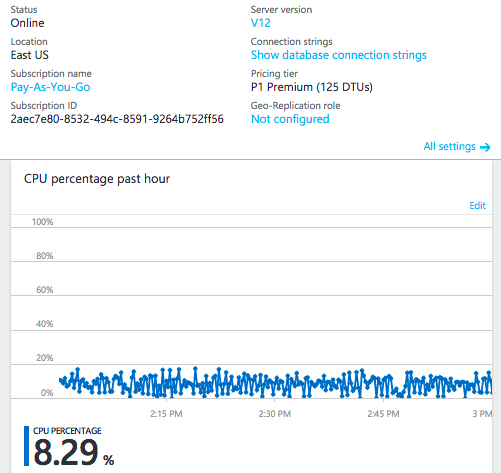 Moderate ~100,000 inserts per minute into 4 tables, each containing 500+ million record, into a database (size ~200GB) hosted on an AWS Virginia based RDS R3.2Xlarge instance, geo-replicated asynchronously to Azure SQL type P1. Data in transit is encrypted. In oder to conduct the benchmark in an environment closer to a real production configuration, an additional load of ~250,000/min inserts into another database (size 750GB) on same R3.2Xlarge RDS is executed. 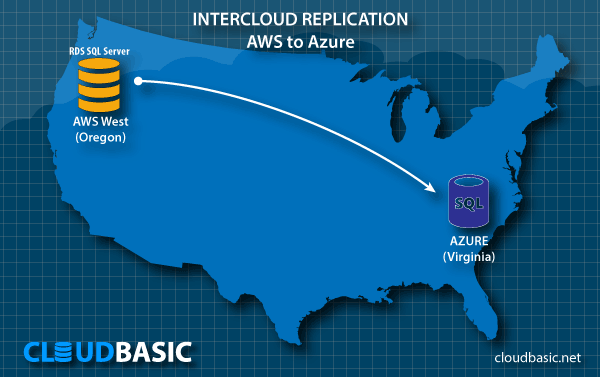 The 750GB RDS database is geo-replicated to another AWS region. This replication as well other 2 smaller databases replications are handled on the same M4.XLarge CLOUDBASIC RDS AlwaysOn Server instance.